In East and Southern Africa the project is being implemented in Tanzania and Malawi and will expand to Zambia. In Tanzania the project is being implemented in Babati and Kongwadistricts in Manyara region of northern Tanzania and Kiteto district in Dodoma region, central Tanzania. 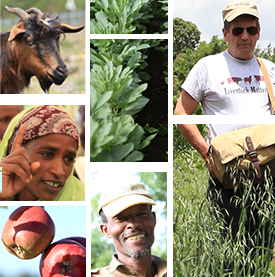 The action sites were selected to acknowledge agroecological differences, allow appropriate targeting of technologies and strategies, and complement the development efforts of another USAID-supported program, the Tanzania Staples Value Chain (NAFAKA) project. High yielding, disease resistant and drought tolerant, multi-purpose, nutritious and marketable food and feed crops identified through participatory selection. These include maize, beans, pigeon pea, groundnut, and fodder plants. 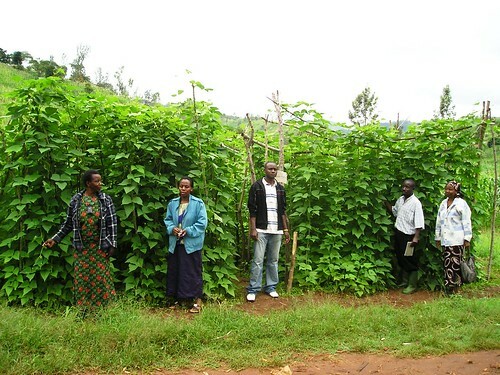 Integrated soil fertility management practices such as efficient application of organic and inorganic fertilizers in the farming systems, and/or integration of legumes in the rotation. Postharvest processing, utilization, and nutrition technologies to reduce food loss, increase shelf life and market value of farm produce. Special focus is being given to ensure food safety by addressing mycotoxin contamination. Appropriate land management technologies that conserve water and soil such as rain water harvesting, rain use efficiency, and controlling soil erosion. Integration of crop and livestock (and poultry) to enhance their productivity through introduction of agroforestry-based interventions for fodder and pasture quality management. In Malawi The project is being implemented in Ntechu and Dedza districts in central Malawi where maize-based productions systems are dominant. Agroecological considerations guided the identification of research action sites. Africa RISING aims to enhance farmers’ knowledge and support intensification to increase productivity in maize legume farming systems, beginning with integrating technologies that address soil and land degradation. The research in Malawi is coordinated by Michigan State University and builds on its past successes of promoting legume-diversified farming systems in northern Malawi through participatory action research using ‘mother-baby’ adaptive trials as platforms for knowledge dissemination. Intensified grain legume production as sole crops in rotation with cereals or using various maize/legume intercropping options, and a unique intercropping of two grain legumes based on their complementary growth characteristics and plant architecture. This ‘double-up legume’ technology hinges on pigeon pea’s unique growth habit compared to the potential under-storey companion crops (groundnut, soybean, cowpea, beans), which ensures enhanced soil fertility benefits and grain for better nutrition. Soil fertility and soil health management through application of organic, inorganic, or a mixture of both fertilizers, use of cover crops and short fallow rotation with green manure.